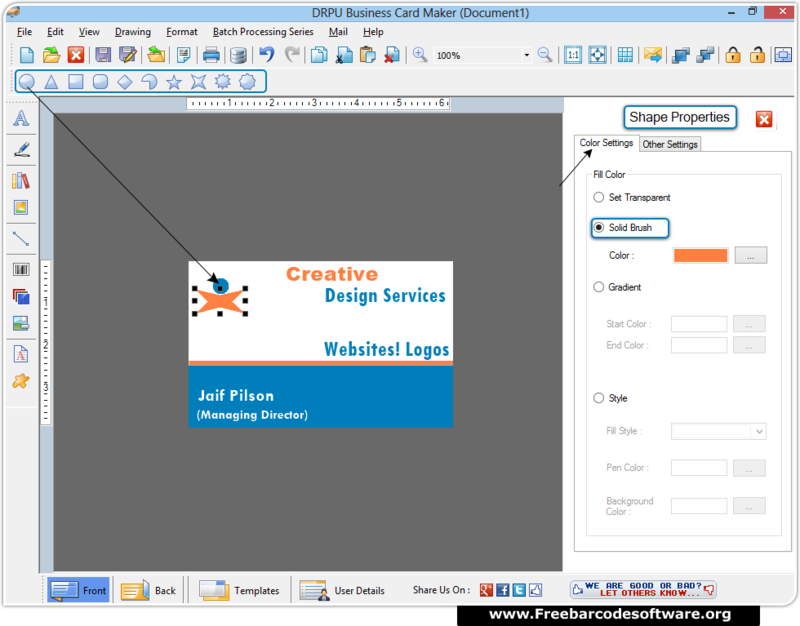 Choose designing mode to create business card and click on “OK” button. 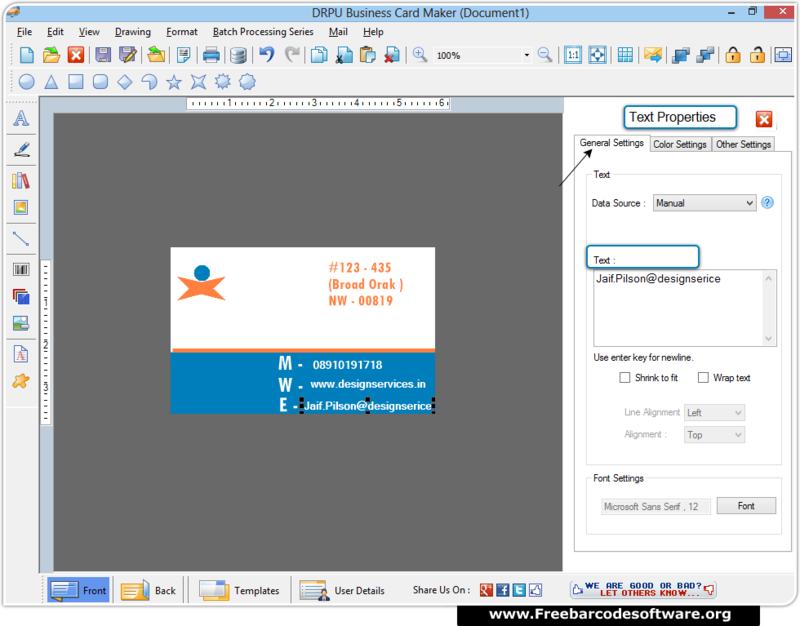 Specify Card name, size, shape and type then Click on “Finish” button. 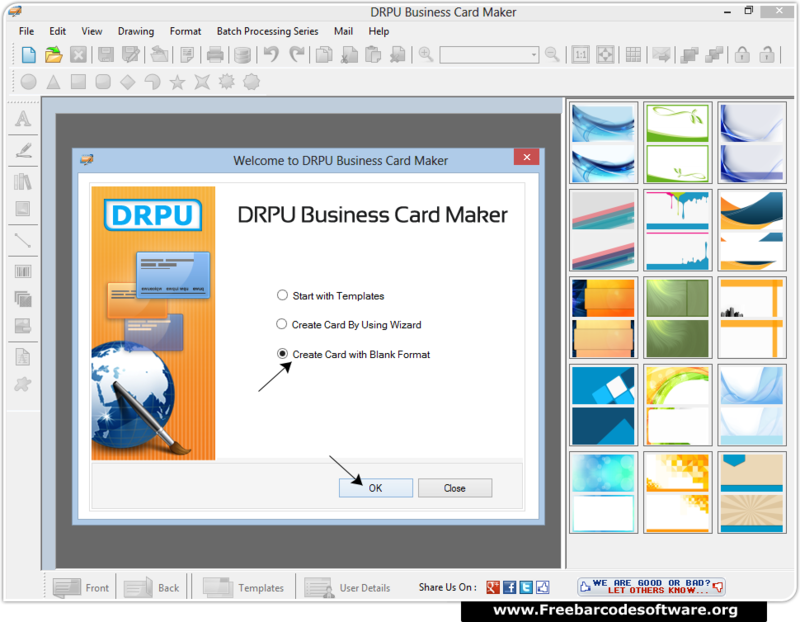 Design your card using Drawing tools from tool bar. You can change color and other settings as per requirement. 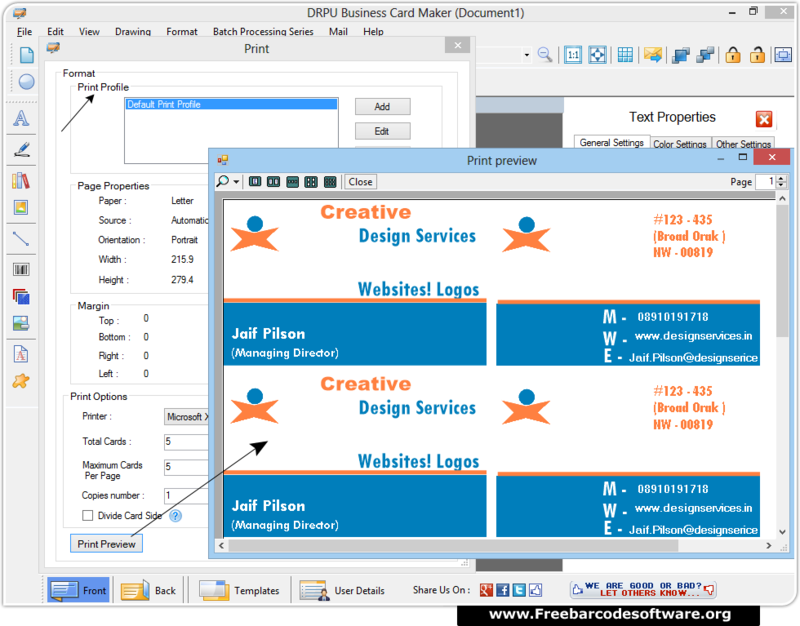 From left panel add text to your card and edit text properties as per need. 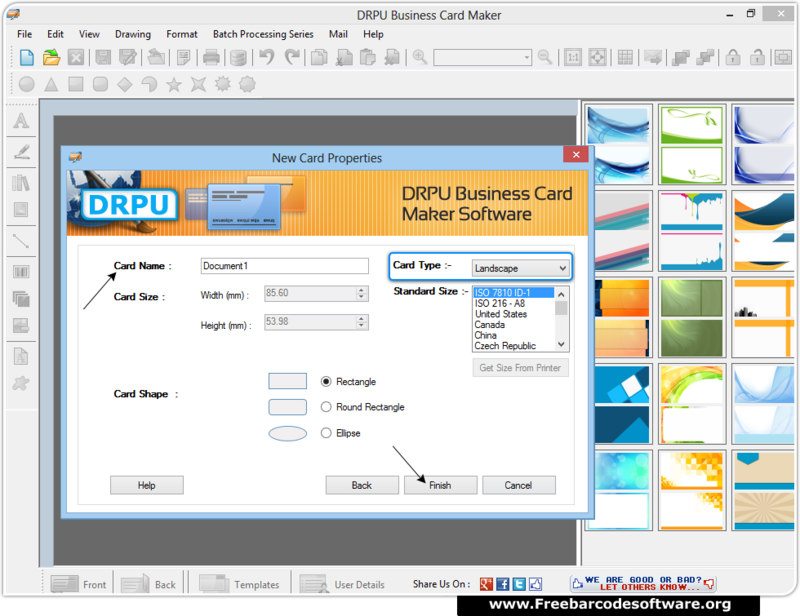 To print your design card set various attributes and click on "Print" button to proceed. 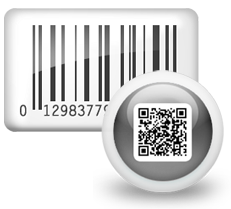 To avoid printing mistakes, click on print preview option to check your settings.